Historically an Italian neighborhood, today Cobble Hill consists of about 40 square blocks filled with diverse residents. Beautiful brownstones, a half-acre park, and historic buildings make the neighborhood a desirable destination to live and visit. Cobble Hill is bordered by Atlantic Avenue on the north, Degraw Street on the south, and encompasses the area east and west between Hicks Street and Smith Street. 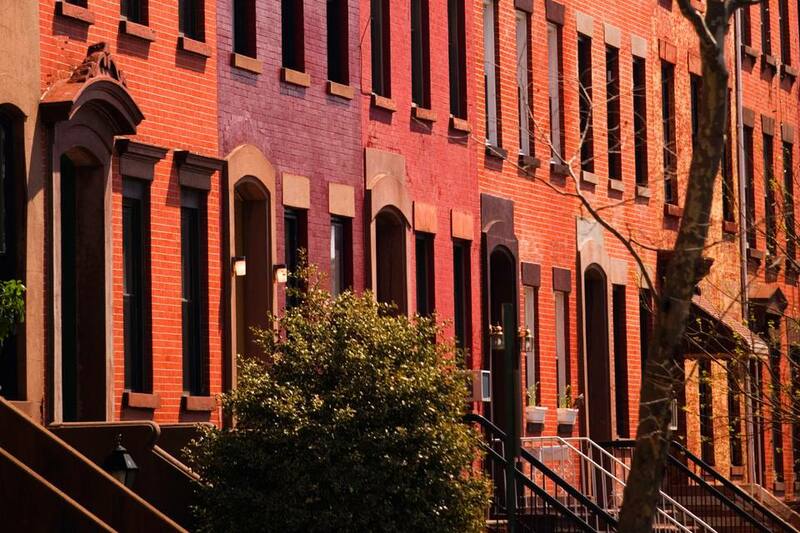 The neighborhood shares borders with Brooklyn Heights, Carroll Gardens, and Boerum Hill. The only subway technically in Cobble Hill is the Bergen Street Station (F and G trains). Buses that service the neighborhood include the B61, B63, B65, and the B75. Living in Cobble Hill isn't cheap: One-bedroom apartments average between $400,000 and $500,000. To rent a similarly-sized apartment, you might pay anywhere from $1800 to $2200. Cobble Hill boasts a variety of great bars and restaurants. Bocca Lupo on Henry offers Italian-style tapas and outstanding cocktails; down the street, you can feast on some of the borough's best Japanese cuisine at Hibino. At Eton, order a steaming plate of fresh dumplings and watch them prepared before your eyes, or head to Waterfalls for top-notch Middle Eastern food and friendly service. Joya dishes out good, inexpensive Thai food, and you can get your sandwich and coffee fix at Ted & Honey on Clinton. Wash it all down with a beer at Last Exit or Henry Public, popular neighborhood bars. What's there to do in picturesque Cobble Hill beside eating and drink? The Cobble Hill Cinema offers reasonably priced movies, and charming Cobble Hill Park is a serene spot for people watching. Cobble Hill is home to Brooklyn's only Trader Joe's: Head to this supermarket outpost for inexpensive organic fare. The well-stocked bookshop Bookcourt is a neighborhood favorite. Walk down Court Street, and you'll find plenty of independent boutiques and designer shops, including Staubitz Market (established in 1917), one of New York City's oldest and most famous butchers.